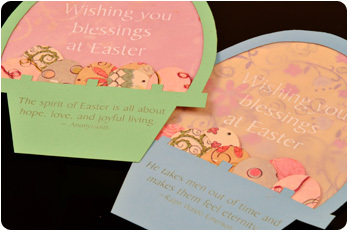 With such an array of paper designs, textures and weights, paper and card stock work very well with your laser system. 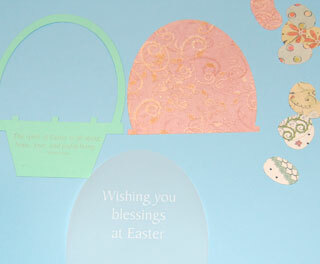 Here we'll create a layered Easter greeting card that's colorful, fun and easy to make. We used a 50-watt Helix with the following settings: 100% speed, 30% power for engraving. 85% speed, 25% power, 2500 frequency for cutting. 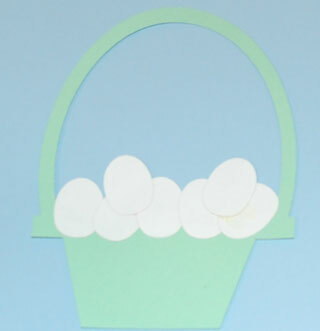 Begin by opening the file sc-easter-card.cdr. We'll want to start with the base layer and text. 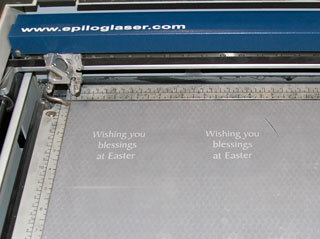 Modify the text as necessary and send the job to the laser. Next we'll engrave and cut the message on the velum layer. 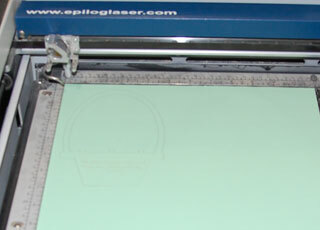 Continue to engrave and cut the various layers until you have all the materials for the card. Now it's time to assemble. 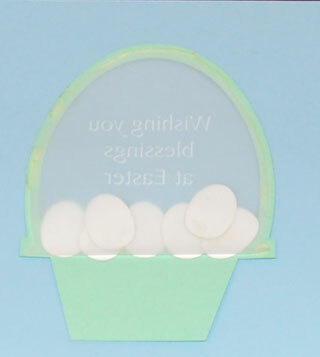 Begin by gluing the eggs to the back of the card - remember to glue them color-side out so you can see the design from the front. Then glue the velum layer to the back of the card. After that comes the last piece of cardstock and you're all set!